The stamp isn't my newest piece of stash though, I am SO loving my new SU! Heart to Heart punch but I think I've got to think of a few more ways to use it, Lol!! The PPs are BG archaic again & I've eked out the corrugated card from a cup holder a little further here too... the cute little fishy is a cuttlebug kids die from an alphabet set I've had for aaaaages. 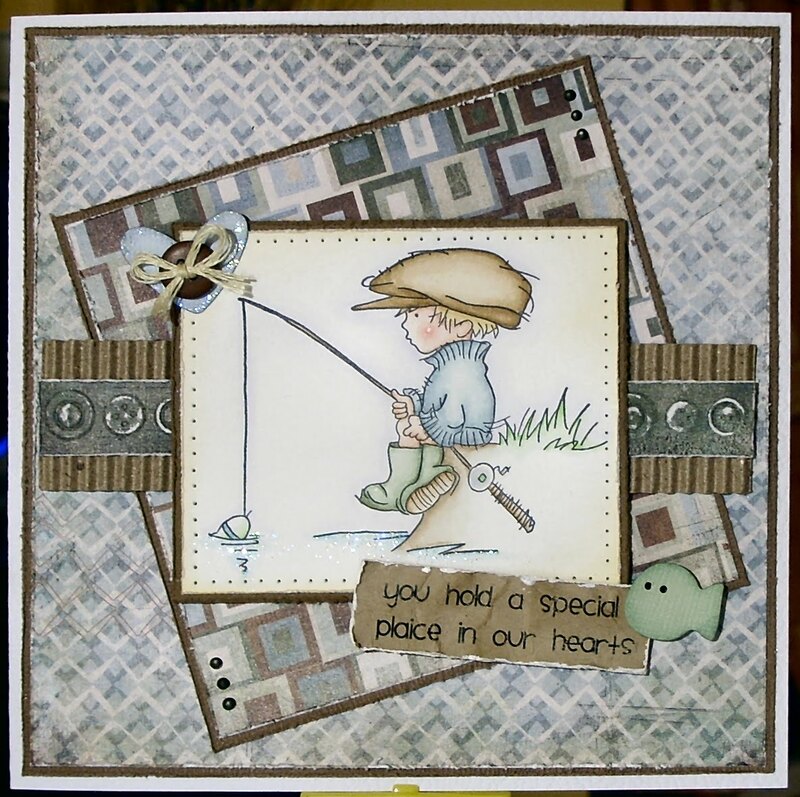 The embossed button border is also from cuttlebug & the sentiment is computer generated. Thank you so much for looking! The stamp is so cute! This is so utterly gorgeous! Love this cute image and your colours and detail are fabulous!